PINK AND SPARKLY. 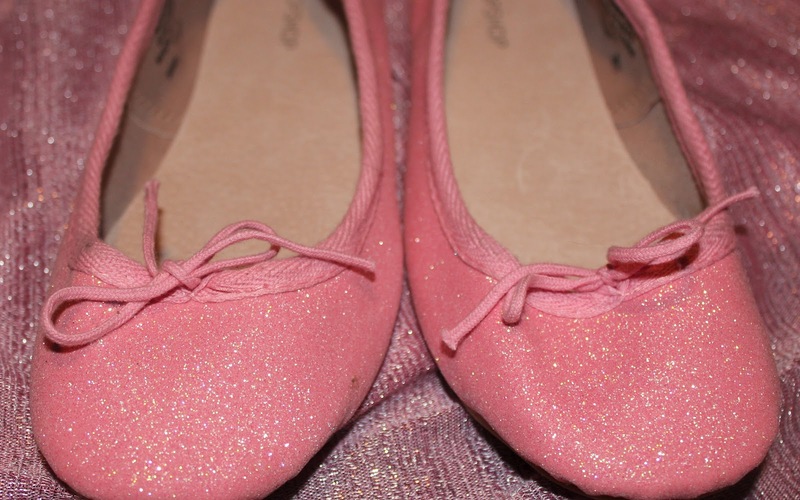 Topshop vibrant glitter ballet pumps. Okay, I'm guilty, I like pink. A friend of mine added a photo of these to facebook and so I just had to ask her where they were from - these babies are from Topshop and are £19! 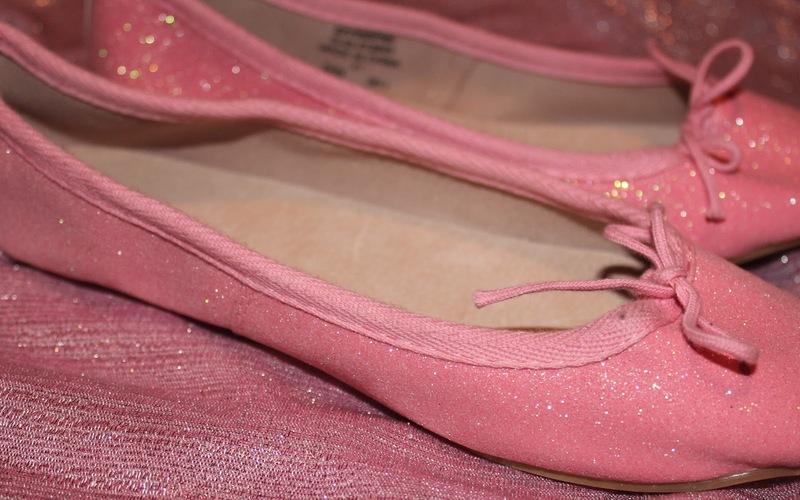 They're in stores now so go and buy them - because who doesn't want to own a pair of pink glittery ballet shoes?? 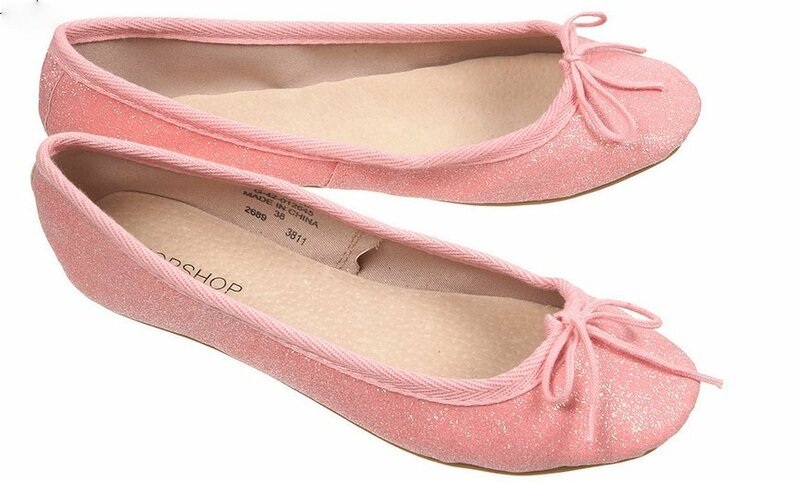 I already own a pair of ballet pumps from Topshop (these salmon ballet pumps) which I have worn to death. They come up true to size and they're really durable considering they look rather delicate. So if these don't float-your-barbie-boat they do dozens more colours and styles so perhaps a more subtle shade of girly will suffice. 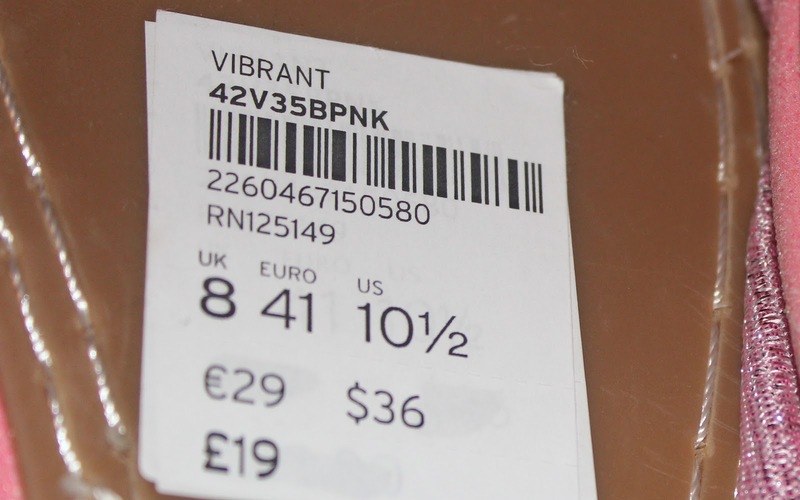 ...and bought a pair three sizes too big for me. Guess this calls for another trip back to Oxford Street.